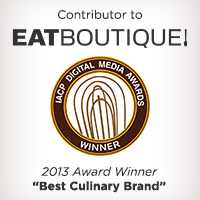 To make, click to the right to expand ingredients and recipe. Combine ricotta, egg and 1/2 of basil bunch leaves, lemon zest and about 3 ounces of the shredded cheese in a bowl. Stir until smooth. Add in the tablespoon of sifted flour and the bread crumbs. Stir until mixed well. 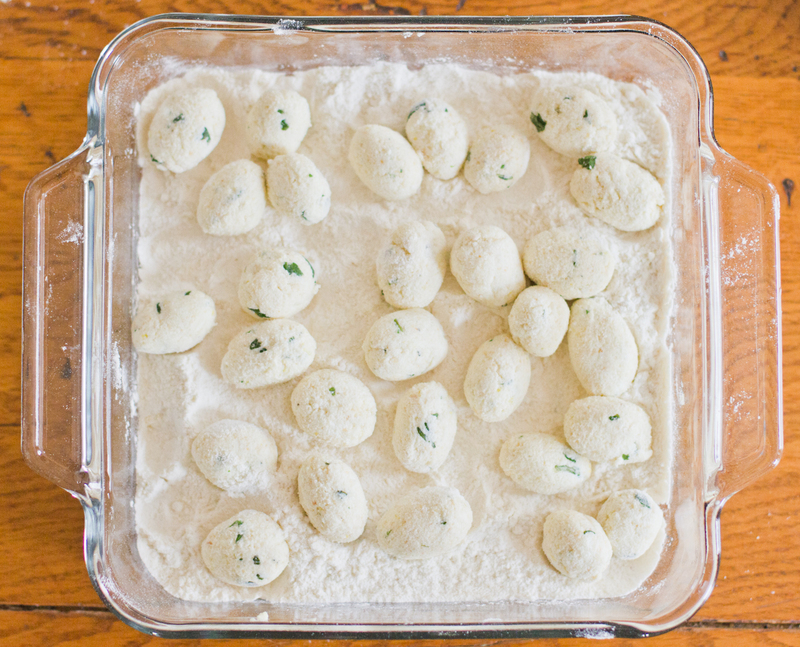 Take about a teaspoon or so amount of the gnudi dough and drop it into flour. 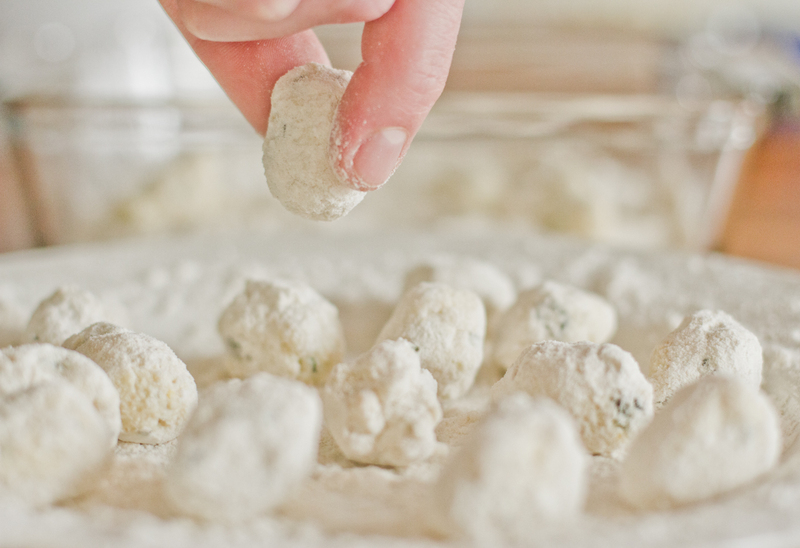 Then, shape the gnudi dough mixture in your well-floured hands. 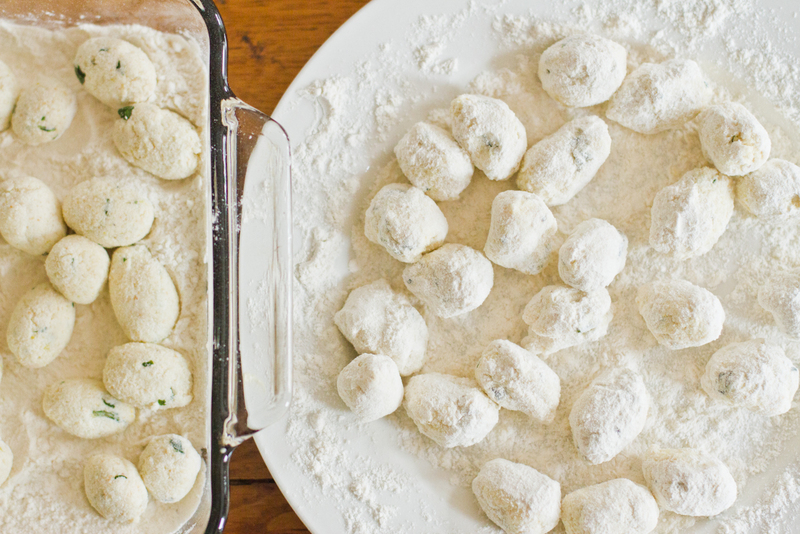 Place the oval shaped gnudi onto a floured plate/pan. 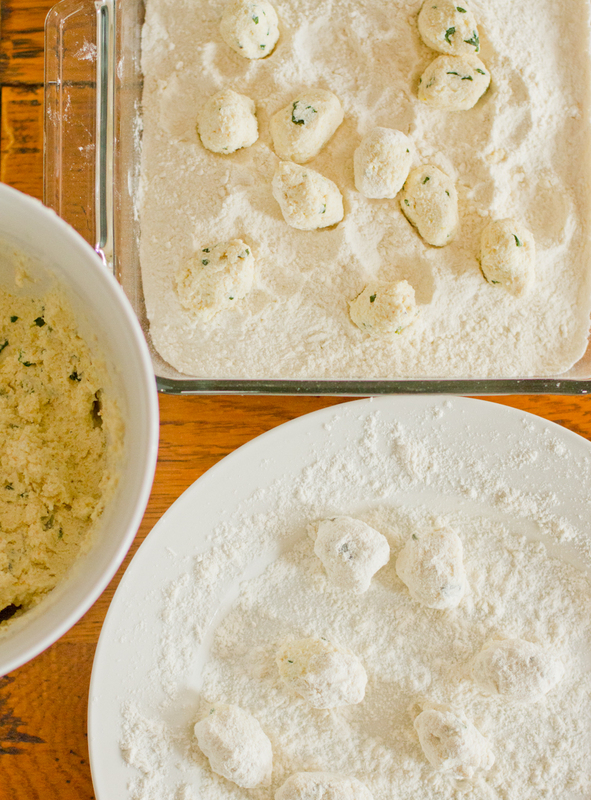 Once all the dough is shaped, chill for at least an hour – up to 24 hours. 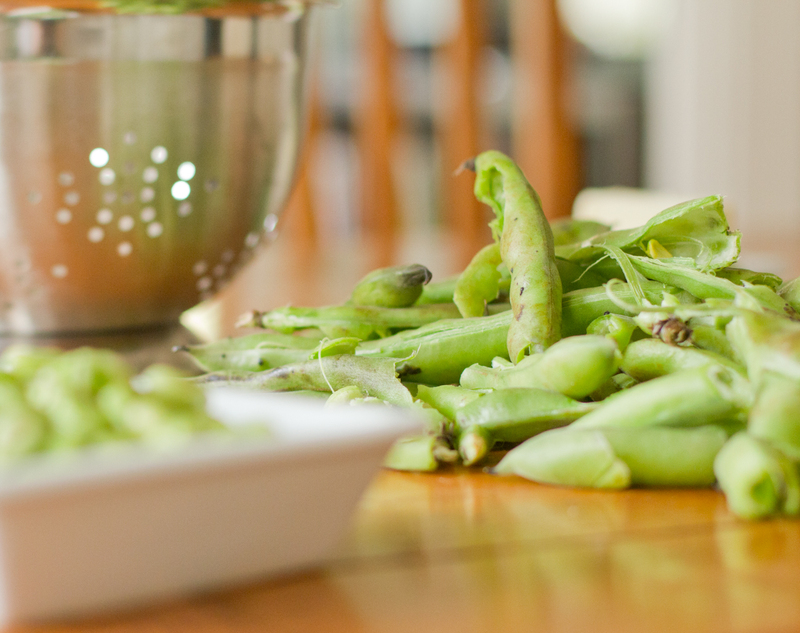 Shell the fava beans and boil in salted water for about 4 minutes – or when floating at the top. Cool under cold water and remove the beans from their skin (yes, another layer!). When ready to eat, bring a pot of water to a boil. While waiting for the water to boil, add the butter to heated skillet. Once melted, add in the garlic and red pepper flakes. Let cook for a minute. Then, add in the fava beans, the remaining basil leaves and a squeeze of lemon juice. Salt and pepper to taste here as well. Cook a minute or so more and remove from heat. Add the uncooked gnudi to the now boiling water. Once the gnudi float to the top, let boil for an additional 2-3 minutes and then strain from the water. 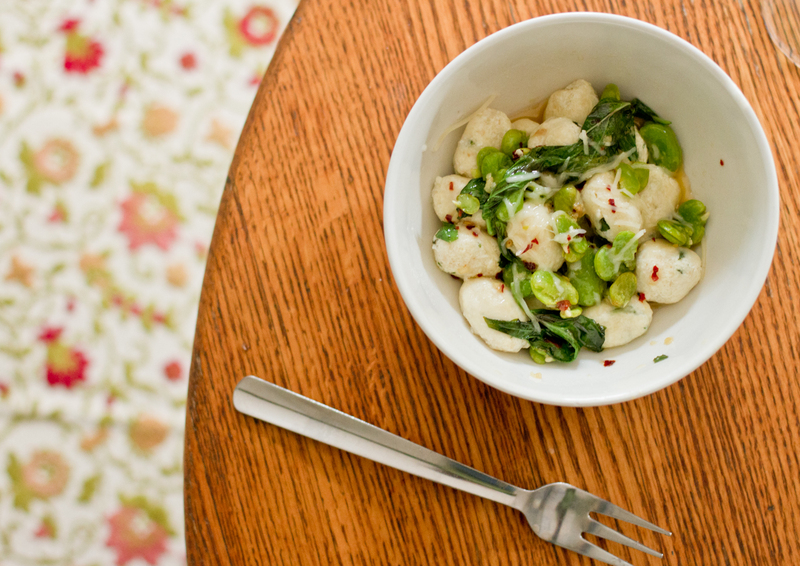 Plate and spoon butter/bean mixture over the gnudi. Sprinkle with shredded cheese. ← 50 Shades of Grey (Goose) Dirty Martini. Interesting – I’d never heard of these. I’d really love to try them! Thanks for the inspiration.